The new budget in New York will create congestion charges and a mansion tax, but it won’t expand sports betting. 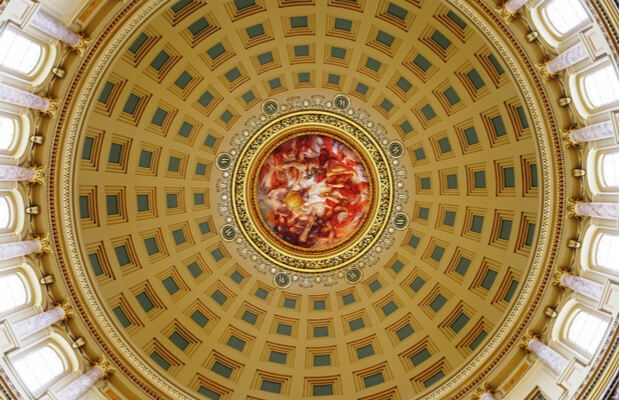 Early Sunday morning, the legislature came together on a $175 billion spending package for the upcoming fiscal year. According to the New York Times, the budget Gov. Andrew Cuomo approved largely meets its progressive targets. “This is the best budget that has been produced since I’ve been governor,” Cuomo boasted post-passage. Provisions to legalize recreational marijuana use and online sports betting, however, ran into the red pen. Lawmakers ultimately omitted both controversial issues from their final package. Serious efforts to expand the existing NY sports betting law have been underway for the better part of a year. Most recently, these budget negotiations appeared to open another narrow window of opportunity. The state constitution is the key hurdle to such a legislative effort, though. New York law stipulates that voters must approve any expansion of gambling, as they did previously for the commercial casinos upstate. That 2013 referendum also included authorization for in-person sports betting, a clause which the 2018 US Supreme Court decision activated. While NY senators have worked to legislate mobile betting in the time since, they’ve yet to assemble enough support make passage a real possibility. The chief executive is the chief opponent. Cuomo maintains that another referendum is the only constitutional path to expansion. The omission of mobile betting is a kick in the shins for the struggling commercial casinos — and for companies like DraftKings Sportsbook and FanDuel Sportsbook. Both have agreements in place to run retail sportsbooks in NY, but both are mobile-first operators in practice. In neighboring New Jersey, mobile wagering represents more than 80% of the total NJ sports betting handle. For the time being, in-person sports betting will remain the only legalized form of sports betting in New York. Preliminary rules are progressing through a 60-day public comment period, so the first NY sportsbooks could open in time for NFL season. The four new commercial properties and existing tribal casinos are the only ones that can offer sports betting under the law. None of them are closer than a two-hour drive from the center of New York City, so the majority of NY bettors are likely to keep visiting NJ sportsbooks — and using NJ sports betting apps. The FanDuel Sportsbook at Meadowlands sits just across the river from Manhattan. Though small, a glimmer of hope for NY mobile betting remains this year. The legislature keeps working in Albany until late June, and standalone bills like S 1490 remain on file. Last month, sponsors distributed legal opinions to support their notion that they can legally authorize mobile betting. Such legislation, the opinions argue, would not represent a new and unlawful expansion of gambling. Assembly lawmakers are less convinced than their colleagues in the Senate, though, and the budget miss does not bode well. If all else fails, the legislature may initiate a referendum to begin that arduous two-year process before adjournment. The spring work session ends on June 19.